At Plugfones, we believe that work should be enjoyed – so we created an earplug-earbud product to help you do exactly that. Unlike traditional earplugs, Plugfones allow you to hear outside low-level noises while listening to music, audiobooks, or podcasts. EARPLUGS QUE LE PERMITEN ESCUCHAR SU MÚSICA. 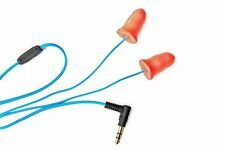 Workinbuds Orange/Blue Earplug Earphones: Noise Reduction Headphones: Work Earbud Earplugs. The unique earplug ear bud design ensures that a great deal of extraneous noise is blocked by the earpiece, and more sound from your audio device is channeled straight to your ear! PLUGFONES GUARDIAN™. Guardian™ Earplugs with Audio. EARPLUGS WITH AUDIO. Weight: 0.35 ounces (10 grams). Independently Tested and Compliant with ANSI S3.19-1974 Noise Reduction Standards. Waterproof Case. 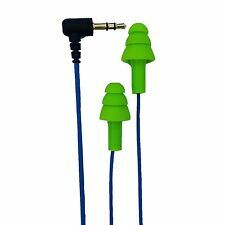 Workinbuds Green/Blue Earplug Earphones: Noise Reduction Headphones: Work Earbud Earplugs. The unique earplug ear bud design ensures that a great deal of extraneous noise is blocked by the earpiece, and more sound from your audio device is channeled straight to your ear! PLUGFONES GUARDIAN™. Guardian™ Earplugs with Audio. Weight: 0.35 ounces (10 grams). Length: 54". Quick Start Guide. Waterproof Case. (1) Pair Interchangeable ComforTiered™ Silicone Plugs. (1) Pair Interchangeable ComforTwist™ Foam Plugs. Model: ZST Pro. KZ-ZST PRO EARPHONE. 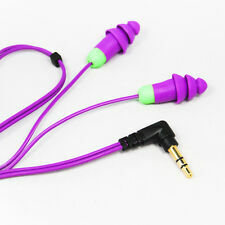 Type: In-ear earphone. Conductor length: about 1.2 m / 47.24 in. Cable material: TPE. Frequency response range: 20-20000 (Hz). We will do our best to resolve it for you. OFFICIAL PLUGFONES DISTRIBUTOR. Unique Patent Pending Design. Double-reinforced jack. ISOtunes ® Noise Isolating Earbuds. 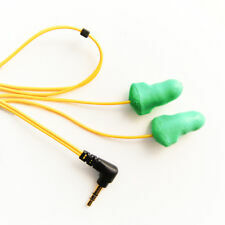 Includes: Silicone & foam earplugs, extra long audio cord, standard 3.5mm audio jack, embedded audio driver.